When considering requesting a presentation / observing session, it would be extremely useful to consider the following and as required supply us with relevant information. We are able to give presentations or observing sessions anywhere in Swindon Borough or within a 10 mile radius. 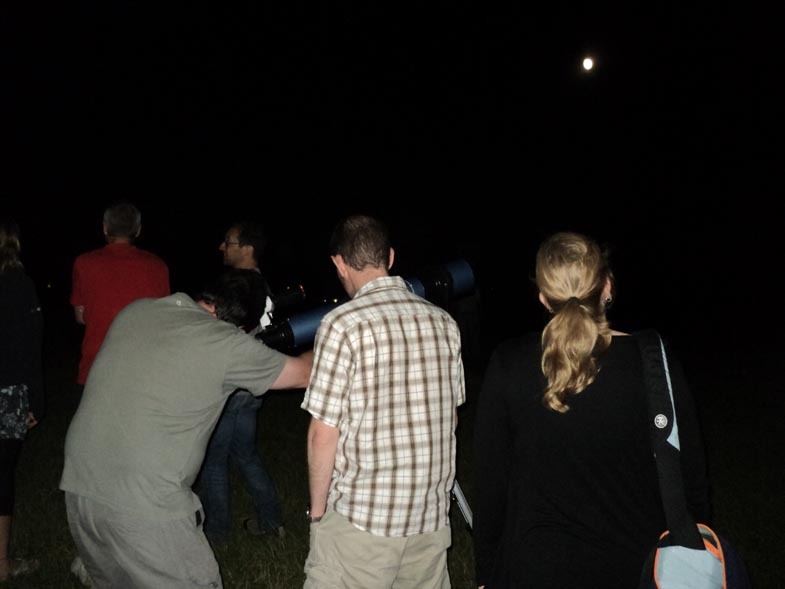 Please note whilst presentations can be given any time of the year, practical observing sessions are only available from October-May due to the time in the evening when there is the required level of darkness. Depending on the level of attendance required from our members in support of the event then sessions starting before 19.00 might not always be possible. In addition the viewing of meteor showers, which is a popular request, is only generally possible after 10pm. Due to the nature of British weather observing sessions are not always possible on the chosen evening and so a 'cloudy night' programme of presentation(s) only is usually the fallback. Contact details including both telephone numbers and email address if available. It would be useful if we could visit the site prior to the planned observing session to check amongst other things the suitability of the sky eg Access to sky -Any obstructions, trees, fences and the like? Direction of view - to the south, to the north? Help us decide what might be possible to view. Welfare facilities provided? Toilets, warm drinks? Access to the site will be required at least half an hour before the observing session is scheduled to begin for setting up telescopes. Check out this great VIDEO about outreach, hit the button to skip the adverts!